During my reading about and google-ing of the “Jazz Age” for the Dallas Museum of Art’s current exhibition, Youth and Beauty: Art of the American Twenties, I discovered some very thoughtful and useful resources for teachers that delve into this fascinating decade. Here are some of my favorites. This K-12 online resource explores connections between the art, literature, and culture of the 1920s (not unlike our recent teacher workshop). What I find most fantastic about this resource are the high-resolution images of primary source documents from the decade in the Ransom’s collection. 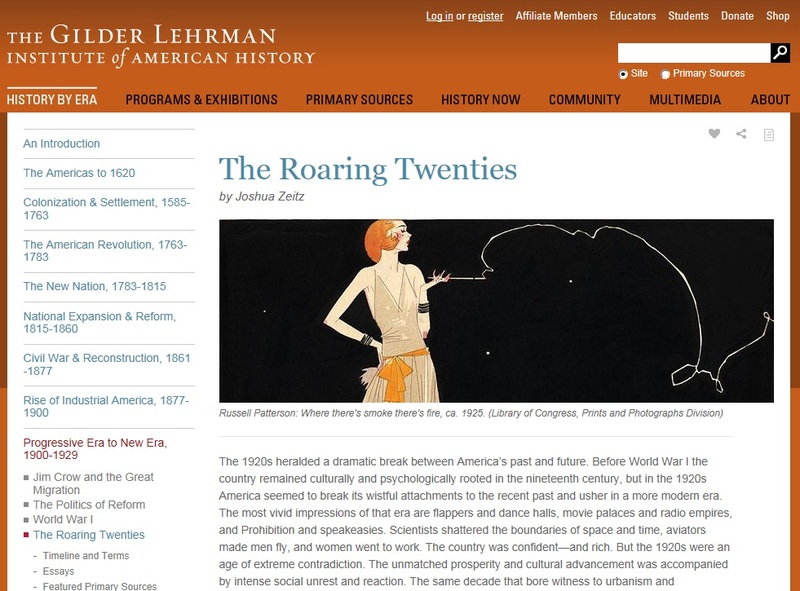 Created in conjunction with The Harry Ransom Center’s exhibit The American Twenties in 2007, this resource includes contextual information organized in rich and unique themes, and an assortment of lesson plans that could be adapted to various classroom settings. The Gilder Lehrman Institute of American History is a nonprofit organization that provides programs and resources for students, teachers, and lovers of history. History by Era, their newly renovated resource, takes an in-depth look at American history through timelines, explanations of people/places/events, essays by a variety of scholars, primary source documents and artworks, teaching ideas, and multimedia. This site provides rich contextual information not only for The Roaring Twenties, but for the entire span of American history. 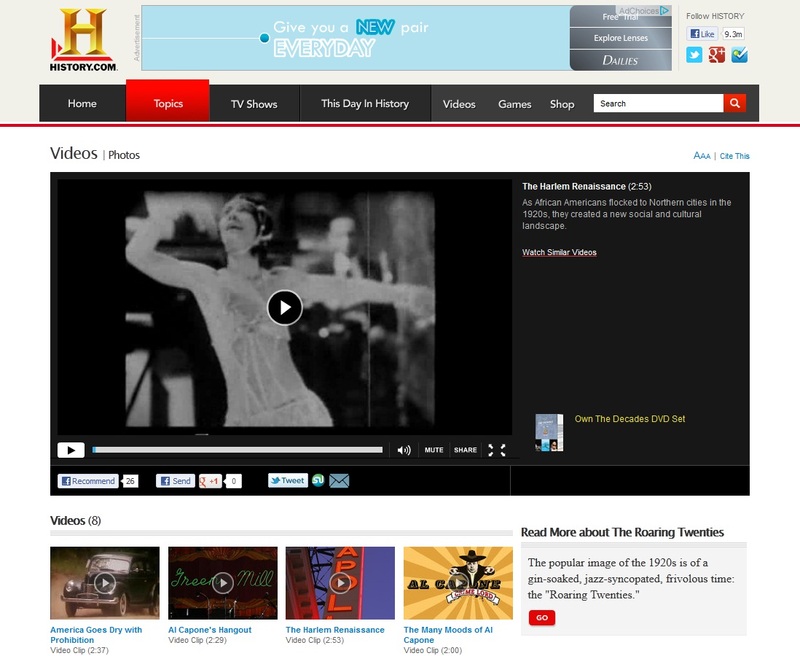 For some rich multimedia tools for teaching the twenties, check out this resource. It includes videos and photo galleries on topics such as Prohibition, Al Capone, the Harlem Renaissance, and women’s suffrage. The supplementary text is concise and easy-to-digest. This site is an efficient snapshot of the cultural scene of the American twenties. If you haven’t already, visit Youth and Beauty: Art of the American Twenties at the DMA, which takes the cake as my favorite resource!